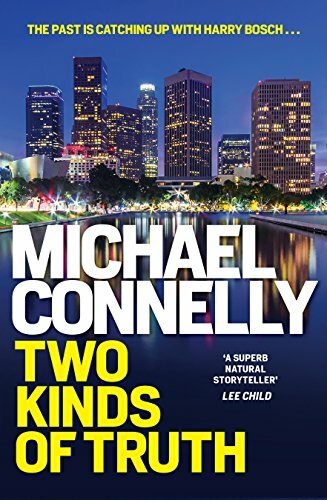 Thriller fans are in for a treat with the release of new titles by some amazing authors in the coming weeks, and what’s interesting is all are available right now as Kindle ebooks on Amazon’s Pre-order program. 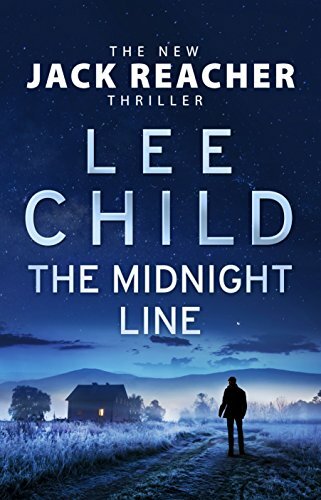 A quick skim of Amazon’s Pre-order lists reveals that Dan Brown, Lee Child, Michael Connelly, John Grisham and David Baldacci are among those literary heavyweights represented. Our conspiracy thriller The Ninth Orphan (The Orphan Trilogy, #1) has entered Amazon’s bestseller list in the popular Conspiracy category for kindle ebooks. This follows yesterday’s announcement that our historical adventure romance, Fiji: A Novel, has also entered Amazon’s bestseller list. In book one in The Orphan Trilogy, Nine – the ninth-born orphan – grows up to become an assassin for a highly secretive organization. When he tries to break free and live a normal life, he is hunted by his mentor and father figure, and by a female orphan he spent his childhood with. On the run, the mysterious man’s life becomes entwined with his beautiful French-African hostage and a shocking past riddled with the darkest of conspiracies is revealed. But can the ninth-born orphan ever get off the grid? To find out you’ll need to go on a tumultuous journey around the globe to such far-flung locations as China, France, the Philippines, Andorra, America, England, Germany and French Polynesia. The frenetic cat-and-mouse chase moves from airports to train stations and hidden torture prisons, taking the reader on a shocking, nail-biting ride into the world’s closet of skeletons that goes beyond conspiracy theories to painful reality. 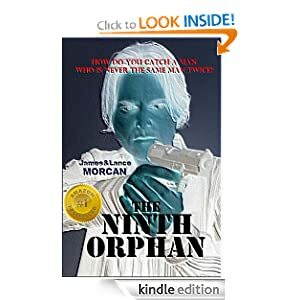 Tackling genetic selection, mind control and secret societies, The Ninth Orphan exposes a global agenda designed to keep the power in the hands of a select few. 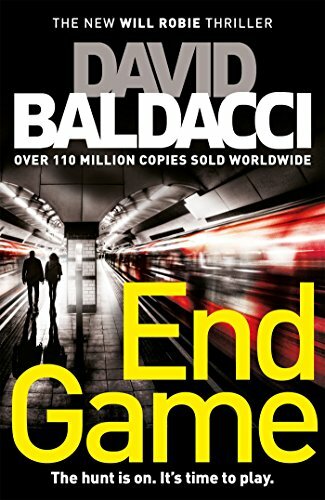 The novel’s antagonists are members of a shadow government acting above and beyond the likes of the White House, the FBI, the Pentagon and the NSA. Could something like this ever take place? Or, is it already taking place right now? This unique and unpredictable thriller also has a poignant, romantic sub-plot. The story contains the kind of intimate character portraits usually associated with psychological novels. Buckle up for a wild trip full of death-defying action, cloak and dagger intrigue, unexpected role reversals and surprise endings. Salinger’s The Catcher in the Rye, the controversial novel that has been associated with several high profile shootings including John Hinckley Jr’s assassination attempt on Ronal Reagan, features prominently in our conspiracy thriller novel, The Ninth Orphan (The Orphan Trilogy, #1). References to Salinger’s book are made in the context of the CIA-sanctioned MK-Ultra mind control activities, which made international headlines at the time. Now alone with Seventeen, Naylor stared intently at the young blonde operative. She was as motionless as a statue, staring right through him. She’d been like this for the past couple of minutes, but she didn’t know that. Her eyes had glazed over and she was in some kind of trance. She held a copy of the novel, The Catcher in the Rye. Smiling, the Omega director stood up and walked over to the door to check it was locked. He walked back to Seventeen and studied her features. Feeling aroused, he stroked the orphan’s hair then kissed her on the lips. She remained unresponsive. Minutes earlier, Naylor had hypnotized Seventeen using the MK-Ultra voice commands he’d recently received from Langley. For years, he’d wanted to have his way with Seventeen. Receiving the orphans’ MK-Ultra codes had presented him with the perfect opportunity. It was perfect because she would never remember a thing. The copy of The Catcher in the Rye he’d given her was all part of the mind control program. The book acted as an additional control mechanism to activate hypnotism triggers in the brain. Still in a trance-like state, Seventeen did not resist Naylor’s sexual advances. The Omega director started to unbutton her blouse when his cell phone suddenly rang. The shrill ringing caused Seventeen to snap out of her trance. She was surprised to see Naylor’s pock-marked face only inches from hers. His lazy eye gave the impression he was staring over her left shoulder, but she knew he was staring directly at her. Suddenly feeling guilty, Naylor quickly turned away and answered his phone. “Naylor.” Marcia Wilson was on the other end of the line, calling from CIA headquarters. Naylor listened intently to her news. Seventeen frowned when she noticed the top button of her blouse was undone. Her gaze strayed to the copy of The Catcher in the Rye on her lap. The orphan had no recollection of picking up the book at any stage. In fact, she’d never even read it. All she knew about the novel was it had been found on the men behind the assassination and attempted assassination of John Lennon and Ronald Reagan respectively, and its author, J.D. Salinger, had significant ties to the CIA. Edward Norton, John Cusack, Philip Seymour Hoffman and Martin Sheen are among a star-studded line up of A-Listers who headline a soon-to-be-released documentary on J.D. Salinger, the reclusive author of The Catcher in the Rye. September 5, 2013 is the scheduled release date of the Weinstein Company-distributed doco, which the publicists say “provides an unprecedented look inside the private world of J.D. Salinger”. Listed as one of the best novels of the 20th Century, The Catcher in the Rye was also the most censored book and the second most taught book in US public schools at one point. Its vulgarity, sexual references and alleged undermining of family values have seen it earn the dubious distinction of being one of the most frequently challenged books since the early 1990’s. Total sales 65 million and rising. The Catcher in the Rye has been associated with several high profile shootings including and John Hinckley Jr’s assassination attempt on Ronal Reagan and Mark David Chapman’s shooting of John Lennon. Chapman was arrested with his own worn copy of the book on his person. The Catcher in the Rye features prominently in our conspiracy thriller series The Orphan Trilogy – most notably in book one, The Ninth Orphan. Our references to Salinger’s book are made in the context of the CIA-sanctioned MK-Ultra mind control activities, which made international headlines at the time. Google “MK-Ultra” some time… It makes for sobering reading! This book acknowledges Catcher’s hold on people. Meanwhile, Associated Press reports the authors of a new J.D. 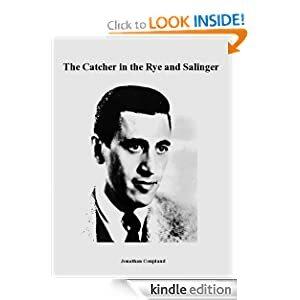 Salinger biography claim they have cracked one of publishing’s greatest mysteries: what the author of The Catcher in the Rye was working on during the last half century of his life. 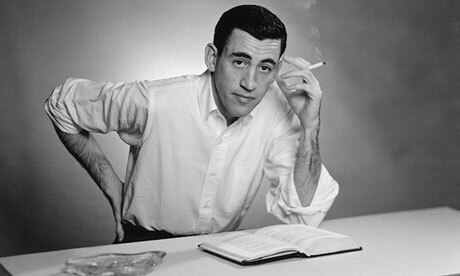 AP reports a series of posthumous Salinger releases are planned after 2015, according to David Shields and Shane Salerno, whose book Salinger will be published on 3 September… Providing by far the most detailed report of previously unreleased material, the book’s authors cite “two independent and separate sources” who they say have “documented and verified” the information. Over the past 50 years, there has been endless and conflicting speculation over what Salinger was doing during his self-imposed retirement. That Salinger continued to write is well documented. The author himself told the New York Times in 1974 that he wrote daily, although only for himself. But there is no consensus on what he was writing and no physical evidence of what Salinger had reportedly stashed in a safe in his home in Cornish, New Hampshire. The Salinger estate…has remained silent on the subject since the author’s death in January 2010. –AP. And so the intrigue over The Catcher in the Rye and its mysterious author continues! Our conspiracy thriller The Ninth Orphan (The Orphan Trilogy, #1) has achieved another milestone, amassing forty 5-Star reviews on Amazon. Good suspense the whole time. I had difficulty going to bed at night because I wanted to see what would happen. In The Ninth Orphan, an orphan grows up to become an assassin for a highly secretive organization. When he tries to break free and live a normal life, he is hunted by his mentor and father figure, and by a female orphan he spent his childhood with. On the run, the mysterious man’s life becomes entwined with his beautiful French-African hostage and a shocking past riddled with the darkest of conspiracies is revealed. In the wake of whistleblower Edward Snowden’s revelations it seems there’s little doubt that New Zealand is part of the US spy network. Ah well, I guess it had to happen. Down here in God’s Own (New Zealand, or Newzil as we Kiwis call it), buried as we are at the bottom of the world, it’s easy to be lulled into a false sense of security – to believe our isolation protects us from terrorism, Big Brother and snooping spy agencies. While our Government Communications Security Bureau (GCSB) refuses to say whether it transmits information from American spy satellites to the US, information leaked by former US National Security Agency contractor Ed (Snowden) suggests our listening stations are indeed used to collect data from American spy satellites overhead. It was NZ Herald reporter Isaac Davison’s article of August 6 that first got my interest over this whole sorry business. He reported security experts fear GCSB’s Waihopai base (here in NZ) is used to process data from an American mass surveillance program – a program “which is capable of secretly accessing emails, online chats and internet browsing histories from around the world”. The article quotes computer forensic investigator Daniel Ayers, who founded IT security firm Special Tactics, as saying the leaked documents showed the global scale of the US spy program. …New Zealand’s spy bases were already used to collect intelligence from the South Pacific and relay it to Five Eyes intelligence alliance partners – the US, Canada, the UK and Australia. Mr Ayers said the leaked document hinted that New Zealand could be a conduit for data intercepted by US spy satellites. He said it also raised the possibility that US agencies were intercepting New Zealanders’ communications. We raise many of the concerns highlighted by Edward Snowden, and Julian Assange before him, in our conspiracy thriller series The Orphan Trilogy (The Ninth Orphan / The Orphan Factory / The Orphan Uprising). Yesterday’s blog at https://morcanbooksandfilms.com/ highlights some of these. “…The emerald green eyes that stared back were full of strength and determination. They were also tinged with sadness – for a life their owner had never experienced. Studying his reflection in the safety of his hotel room, Nine noticed the mirror had flecks of mold on it as well as fingerprints from other guests. Lamenting his foiled transaction with the Chinese in Kensington Gardens earlier that morning, he still didn’t know which agency had interfered. It had been a serious setback for his plans. He knew there’d be another opportunity to trade with the Chinese, however. After he’d given the police the slip at Saint Yeghiche Church, he’d gone to the East End. Then, once satisfied he’d shaken his pursuers, he had checked into this inconspicuous hotel and immediately set about establishing a new identity for himself. Nine knew, without a shadow of a doubt, the Omega Agency would already know he was in London. He was only too aware Omega had people planted on the inside of all Western intelligence agencies. It was a no-brainer his fellow Omega operatives would be coming for him. The contents on his flash drive were far too valuable for the agency to give up on. The fugitive agent reminded himself it was imperative he presented a different face to the world each time he ventured out. P.S. I liked one wag’s comment on TV last night. He said our GCSB is a misnomer and should be renamed GCBS…and we all know what BS stands for! ‘The Ninth Orphan’ merges fact with fiction…but where does the fiction end and truth begin? 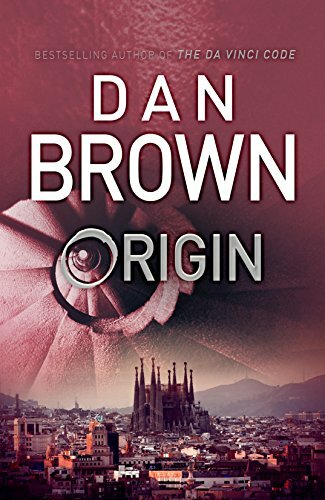 Book one in The Orphan Trilogy explores a plethora of conspiracies involving real organizations like the CIA, NSA, MI6 and the UN, and public figures such as President Obama as well as the Clinton, Marcos and Bush families. It exposes a global agenda designed to keep the power in the hands of a select few. 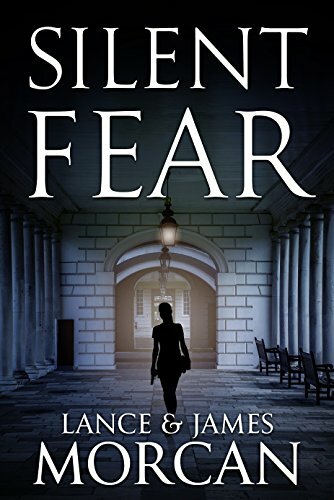 The novel’s antagonists are members of a shadow government acting above and beyond the likes of the White House, the FBI, the Pentagon and the NSA. Timely considering recent intelligence released by whistleblower Edward Snowden. Could something like this ever take place? Or is it taking place right now? In The Ninth Orphan an orphan grows up to become an assassin for a highly secretive organization. When he tries to break free and live a normal life, he is hunted by his mentor and father figure, and by a female orphan he spent his childhood with. 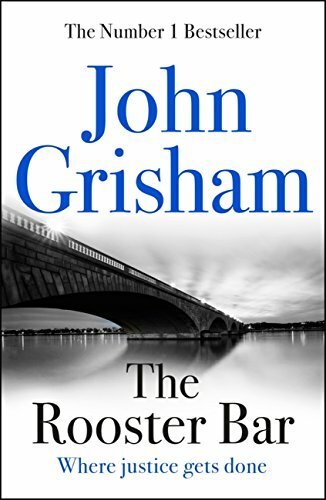 On the run, the mysterious man’s life becomes entwined with his beautiful French-African hostage and a shocking past riddled with the darkest of conspiracies is revealed. Nine glanced at his reflection in a nearby wall mirror. Perplexed green eyes stared out of a pale, serious face which was framed by dark, curly, slightly longish hair. His was a face that didn’t look lived in. Handsome in a dangerous sort of way, he had the appearance of a man permanently at war with his inner demons. Despite this, he looked slightly younger than his thirty one years. Only his eyes revealed any sign of his true age; they were haunted – as if they’d witnessed one too many tragedies. After drying himself, Nine approached the table, selected a scalpel and proceeded to make a three inch incision in the fleshy portion of his left forearm. Although he’d never operated on himself before, the incision was quick and neat. Even so, the blood flowed freely and immediately soaked the towels beneath his arm. Gritting his teeth against the pain, he cut through the flesh until the scalpel’s wickedly sharp edge came into contact with something metallic. “Got you!” he hissed through clenched teeth. Using a pair of tweezers, he clamped the metallic object and extracted it from his flesh. The blood-stained object, which was almost two inches long, was a miniature tracking device in the form of a microchip. Placing the device on a towel, he selected a surgical needle and thread, then proceeded to stitch himself up. Nine found this part of the operation even more painful. Sweat rolled down his forehead as he struggled to sew himself up using one hand. Only by jamming his wounded arm between his hip and the table was he able to compensate for not being able to use both hands. Ten long minutes and thirty stitches later, he was done. As a final act, he bandaged his wound. Limited as he was to using one hand, this took several attempts before he got it right. Nine straightened up and took several deep breaths to fight off the pain and feelings of nausea he was experiencing. He shuddered involuntarily. Nine was knowledgeable enough about human anatomy and medicine to understand the nerve hypersensitivity he felt was an entirely normal post-surgery symptom. …Twenty three red dots flashed at various places on a digital map of the world. The dots represented the locations of the Omega Agency’s field operatives. Carrying out high-level black ops on all seven continents, the twenty three operatives included males and females of almost every race. The red dots confirmed only two Omega operatives were currently in Asia. Seventeen, a blonde female, had recently landed in Luzon, the main island of the Philippines. Nine’s dot, which only a short time earlier had mysteriously vanished before reappearing, indicated he was also situated on Luzon. Omega director Andrew Naylor and veteran agent Tommy Kentbridge studied the digital map grimly. Neither looked happy as the two dots in the Philippines rapidly converged. Physically at least, the two officials were chalk and cheese. Naylor was a short, but dapper man in his late fifties. His skin was badly pock-marked and he had a lazy eye which people found disconcerting as they could never be sure if he was looking at them or someone else. Unfortunately for him, his personality matched his appearance. Fifty-three-year-old Kentbridge looked like someone who could take control of any situation. At six foot one and with a commanding presence, he quickly earned the respect of all who came into contact with him. An audible groan from Naylor confirmed what Kentbridge already knew. The director was seething at the latest turn of events. Kentbridge had seen enough. The results of the past few hours had made him sick to his stomach. Hiding his concern, he swiveled his chair and surveyed the Omega Agency’s headquarters. It was a hive of activity as usual. Scientists, IT specialists, political analysts and other high-ranking officials were on duty. Sworn to secrecy, each was the best in his or her chosen field. Although it looked like the interior of any corporate headquarters, Kentbridge knew appearances in this case were highly deceiving. For a start, these headquarters were located one mile below ground, hidden beneath a long-since abandoned hydro dam in south-west Illinois. The secret facility was not only off limits to the general public, it was completely off the US Government’s radar. In fact, like everything else connected with Omega, knowledge of its existence was beyond any government. The Ninth Orphan (The Orphan Trilogy, #1) is a regular visitor to Amazon’s bestseller lists. It’s available as a kindle ebook and trade paperback.